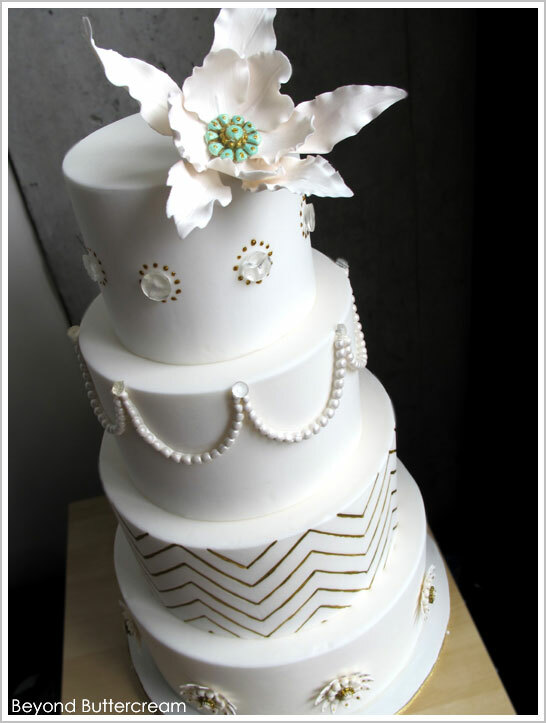 Today’s featured cake is a sophisticated design with great white on white texture, modern lines and subtle gold accents. 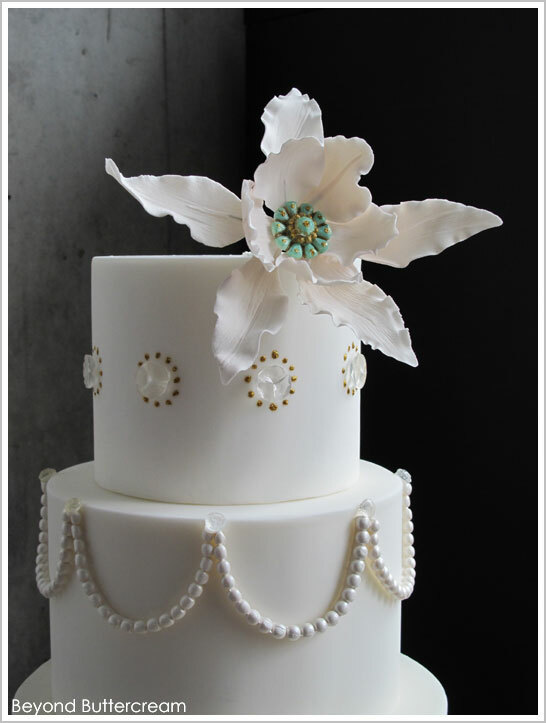 Crisp white fondant is perfectly polished, creating an ultra tailored appearance. Delicate sugar broaches, strings of sugar pearls and diamond-like gems add a touch of luxury to an already refined design. And then there is the gorgeous chevron. Thin lines of hand-painted gold chevron! Oh chevron… you’re a trend worth keeping. Especially when used so exquisitely. All topped with a statement-making fantasy flower. 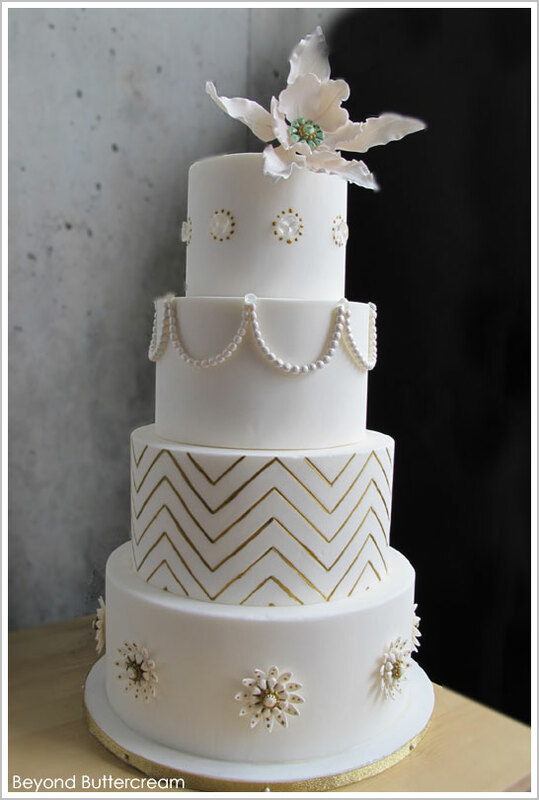 Prepare to swoon over this elegant Golden Chevron Cake, created by Jennifer Bratko, owner of Beyond Buttercream in San Francisco. “The theme of this cake is ‘clean’. 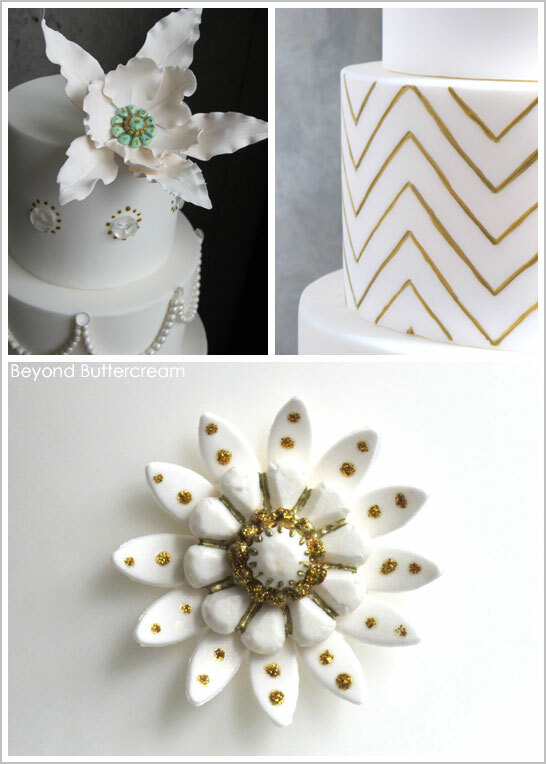 Clean lines, clean patterns, and smooth fondant. I wanted to add some bling but wanted it understated, modern and sophisticated. I am seriously smitten with this design! 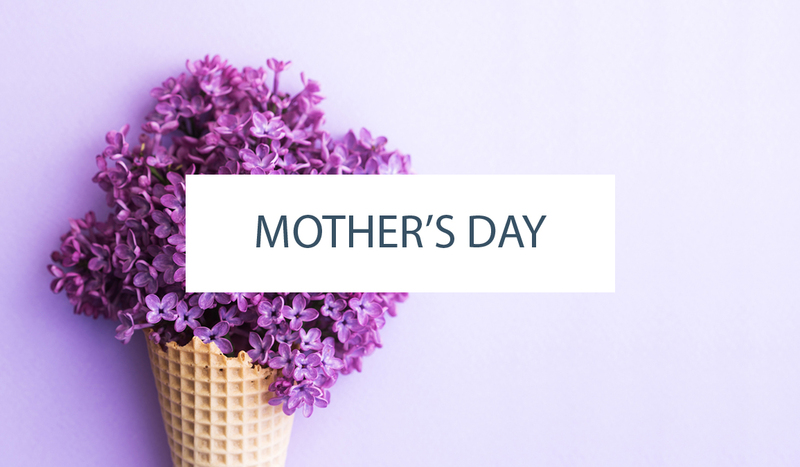 It’s impeccably groomed and oh-so-ladylike. And as an extra bonus… this classic chic design incorporates several hot trends right now (chevron, broaches and pearls) but would easily stand the test of time. What’s not to love?! A special thank you to Jennifer Bratko of Beyond Buttercream for sharing her Golden Chevron Cake with us today! It is beyond gorgeous! Thanks for featuring my cake! What an honor! It’s such a beautiful cake!